When you feel "off", or your mind feels overworked and stressed, use this simple technique to give yourself a recharge. Get away from the TV, the Internet, your Laptop etc. Sit in your favourite armchair or lay on your bed. Just go somewhere peaceful and quiet, and away from any distractions. First of all, it is best to quiet and still your mind with an easy meditation. Just close your eyes and listen to the sounds all around you; the traffic outside your window, the birds in your garden, somebody pottering around in the room next door. Once you put your focus on these sounds it creates a feeling of calmness within you. You are giving your brain a much needed time-out. Thoughts of your job, money, or relationship issues might force themselves to cross your mind but just keep returning back to the sounds of your environment. You can use any of your senses as tools to meditate with. Feel the sensations of your body, try and detect the good feeling of the soul within you. Some focus all of their attention on a candle flame. You can even use smell as a focal point, though I've never tried this. You can skip the meditation and go straight this next Imagination technique if you like. It is important to understand that your thoughts create your feelings. If you had 100 thoughts to use in 1 day, and 90 of them were negative, anxious thoughts, you would without a doubt feel anxious that very day. Extend this bad habit to weeks, months and years and no doubt about it, you will be a depressed and anxious person, like I was for nearly 15 years of my life. One of the biggest breakthroughs I made was understanding that I get to choose my thoughts. Everyone does. So, now carrying on with the "100 thoughts a day" analogy, I choose to think of 100 great feeling thoughts a day instead of 90 or so negative, anxious bad feeling thoughts. The result is that I feel great, I feel confident, and I feel like I can conquer the world. And I do this by bluffing or tricking myself into believing that "I have no fear", "I feel calm and peaceful inside", "everything is going to be great from now on" using good feeling thoughts alone. I think these thoughts until I actually feel it and believe it. They form my core beliefs. You can't just read the words written here and feel good, you've got to actually practice it. 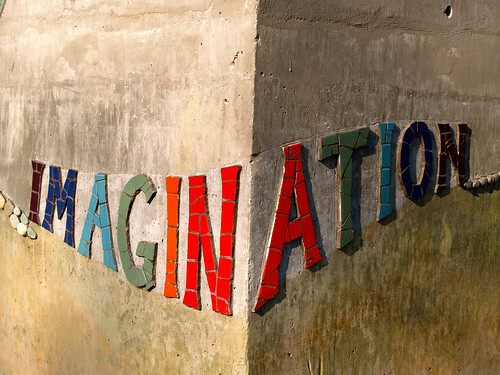 Use your imagination to come up with the most exciting, daring, full of life thoughts that you can think of. For example: "My mental health is in great shape right now". "I have got an unlimited amount of energy within myself". "Soon I will be travelling the most interesting cities in the world doing the job I love". See the life you want to live. Feel the sensation of it. See yourself with the girl of your dreams. See yourself buying the house you've always wanted. For me, personally, I aim more at the spiritual side of things, like a good soul feeling, but it's up to you what you'd like to attract. At the very least, you will feel a lot better after 10 minutes. At it's best, it will instill hope and joy and enthusiasm for a world that you know you can create. It can give you a massive spring in your step and you can look forward with great enthusiasm to doing the work required to get there. The work won't feel like a drag. You will feel Inspired. Do this for hours a day, every day and there's no telling what you could achieve. Shall I go with the Ego? Or Feel Good? Light Your Inspiration On Fire! Get Philosophical Every Now and Then!